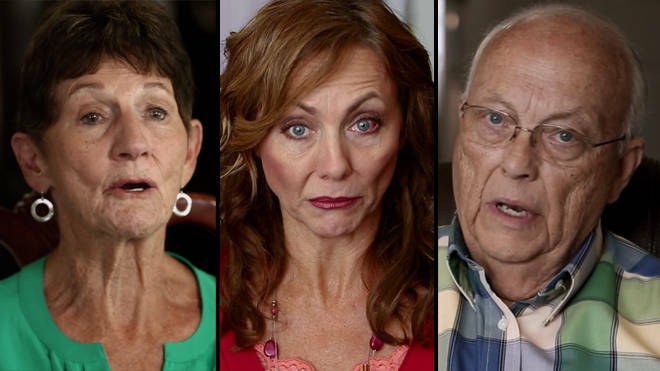 After watching Abducted in Plain Sight, it seems that a normal review will not reflect how this one-part documentary has affected all those who’ve seen it. In an attempt to do it justice, we have reviewed not only the film itself but people’s response to this truly unforgettable story. Just when you think you’ve seen it all, you haven’t. AIPS is about a young girl (Jan Broberg), part of a church-going family in 1970’s Idaho, who is manipulated, abused and betrayed. As the events, described mainly by Jan and her family, gradually unfold, you’re left in utter disbelief as to how something so bizarre, disturbing and downright sick was able to happen. Pointing the finger to who’s responsible for Jan’s abuse becomes increasingly difficult, as her parent’s shocking ineptitude becomes more and more apparent. After watching The Ted Bundy Tapes, I’d have thought there’s literally no crime documentary out there that’s more twisted or absurd. Granted, Bundy’s murders are among the most heinous in history. Jan’s story, however, is unique in that it really questions the strength and integrity of family values; particularly in a faithful, American Christian community. It contains paedophilia, adultery, blackmail and much more, most of which shatter the Broberg’s competency as not only parents but as decent people, too. To say any more would remove the shock-factor; which this Netflix documentary has in huge quantities. You can expect some redemption towards the end which, although satisfying, isn’t quite enough to dissolve the frustration that the majority of it could have been prevented.